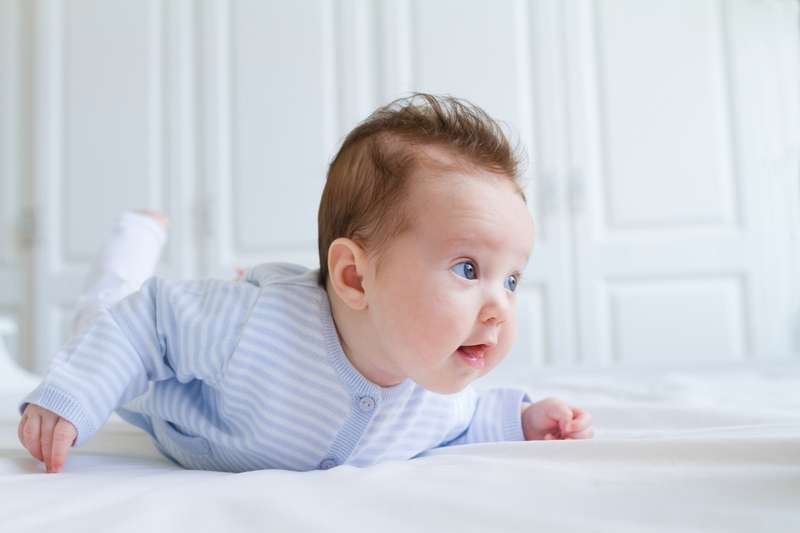 For babies that are developing their gross motor skills, tummy time – or supervised time a young infant spends on their stomach while they’re awake – is extremely important. If you’re a new parent, however, you might wonder if you’re approaching tummy time correctly, doing too much, or not doing enough. If you have questions or concerns, don’t worry too much: There’s plenty of tummy time guidance available for parents and caregivers. Here are the answers to some of the most frequently asked questions concerning this crucial aspect of infant development. 1. Why is tummy time important? Tummy time helps your baby develop strong shoulder and neck muscles, according to the Mayo Clinic. It’s also good for building the strength needed to sit up, crawl, roll over, and eventually walk. Additionally, since babies should sleep on their backs to reduce the risk of sudden infant death syndrome (SIDS), it’s important to put them in a different position when they’re awake. Babies can potentially develop flat spots on their heads if they’re in one position for long stretches of time, the Clinic cautions. 2. When should I start tummy time with my baby? Infants born at full term without any health problems can get started with tummy time as soon as they get home from the hospital, according to The Bump. However, be sure that you and your child are both fully awake. Careful supervision is important. At first, it’s common for babies to dislike spending time on their tummies. They might cry and get fussy, so it’s normal to start off with brief sessions and work up to longer period of tummy time, The Bump explains. 3. How long should I keep my baby on their tummy? At first, you should place your baby on their stomach on a blanket in a clear, open area for three to five minutes two to three times per day, the Mayo Clinic recommends. Once your child gets used to the position, you can put them on their tummy more often and/or for longer periods of time. You can also put toys within their reach to make it more fun. 4. What are some different ways to approach tummy time? There are a few different ways to mix it up when it comes to tummy time, according to the American Academy of Pediatrics. Lap time: Lay your child across your lap tummy down lengthwise, while providing head support. Keep their head aligned with their body. If your baby needs some soothing, you can gradually lift and lower your legs and/or sway them from side to side. Tummy to tummy: While you’re awake and in a reclined position, rest your baby on your stomach. You can do this while you’re still in the hospital, in fact, before your umbilical cord has fallen off. Supported side lying: This is a good option for babies that don’t want to be on their stomachs. Put your child on their side, with a rolled-up towel against their back and/or a folded-up washcloth under their head for support if necessary. Both of your baby’s arms should be in front of their body, and you should move their legs forward from their hips and bend their knees. If you’d like to learn more about tummy time or have any other concerns or questions about childhood development, don’t hesitate to contact our team of pediatric therapists. Our pediatric professionals provide comprehensive and educational care to help change the lives of children one step at a time. Connect with us today by calling 847-707-6744 or email info@littlestepspt.com.